Well this is pretty interesting. 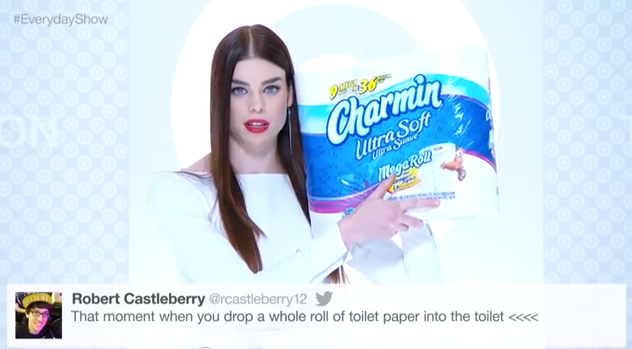 On January 24, Target had a live fashion show which involved models reading tweets from people while holding products from Target's Everyday Collection. To participate, people could tweet their witty commentary with the hashtag #everydayshow and the models would stut thr runway and read the tweets. You can see a highlight reel below.